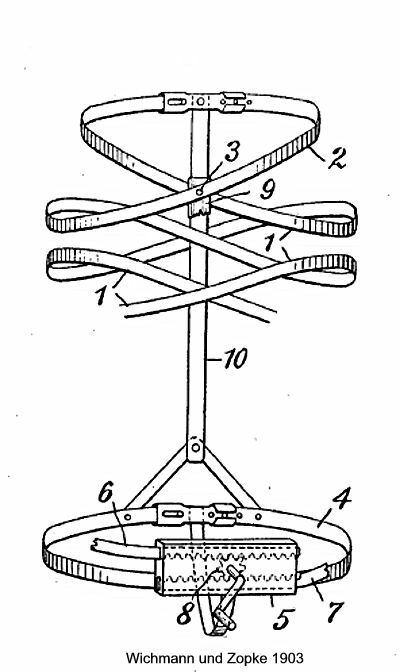 Spiral wire armouring makes its appearance yet again in a design by Wichmann and Zopke in 1903. 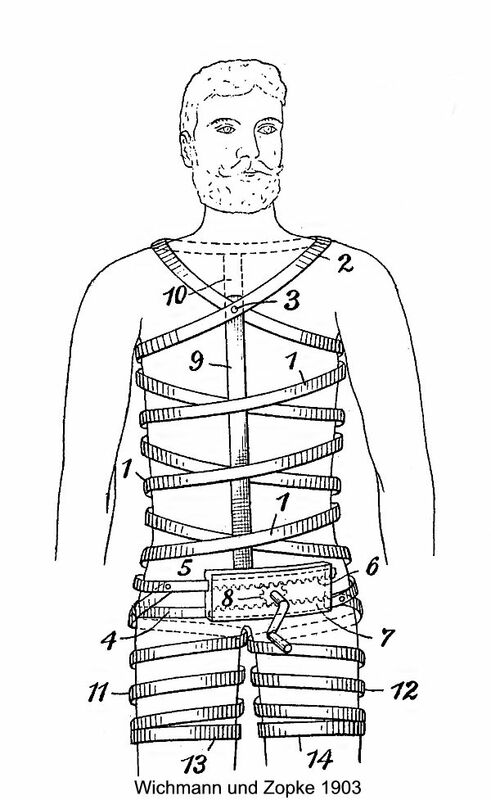 This proposes to encircle the diver’s trunk and tights with flat steel spiral bands drawn tight by a handle-operated ratchet. It is chiefly valuable as an instance of what to avoid. 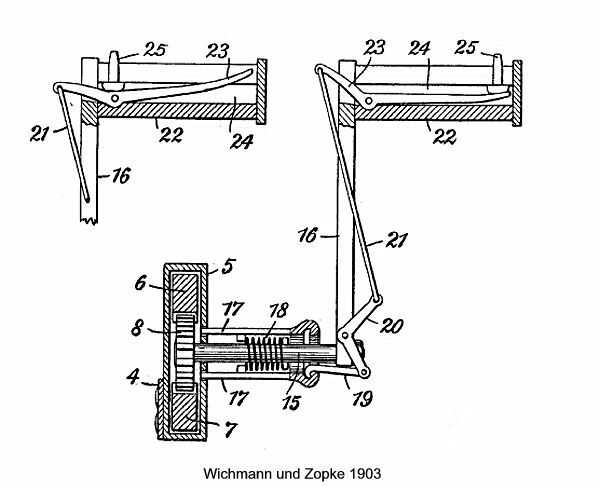 Wichmann und Zopke patented there “invention” in 1903 in Germany.